NARAL has produced perhaps the stupidest radio ad ever. The advertisement starts with a guy who can’t find condoms anywhere. 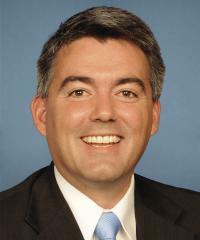 Because the Republican Senate candidate, Rep. Cory Gardner (R-CO)Heritage ActionScorecard Rep. Cory Gardner House Republican Average See Full Scorecard57%, single handedly banned birth control. So now it is up to the guys to take responsibility for birth control. The ad goes on to claim Gardner is “anti-science” among other things. Here’s the long and short of it: we want people who believe this ad is true to have as much birth control as possible. Hell, I’ll contribute to ensure we get them some of that implanted birth control. We should sugar coat it so they can eat it like candy. The people who believe this ad should be stopped, at all costs, from ever reproducing. The founder of Planned Parenthood, Margaret Sanger, believed in sterilizing “imbeciles.” The deep irony of history is that today her position would mean sterilizing the abortion-rights folks who believe this ad is true. The post Give These People As Much Birth Control As Possible appeared first on RedState.